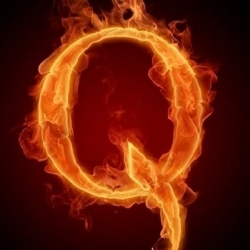 Twitter and Facebook are talking about Qanon (@qanon) and everyone is speculating on Q's identity. Some of those who are part of the Qanon groups, such as QAnon Great Awakening on Facebook, believe the possibility that JFK Jr. is alive and is Q. New York, NY, July 30, 2018 --(PR.com)-- Dr. Rayna M. Gangi and Earthwalk-USA release a fictionalized account of the Q phenomenon entitled "Q, The Awakening." Written from a third person point of view that will surprise most readers, Gangi takes readers from the JFK assassination in 1963, to the death of JFK Jr. and beyond. "The questions Q raises and the the research and responses from the many on his threads, are essential reading for every American," Gangi says. "When people starting speculating, actually hoping, that John-John might have faked his death to avoid being murdered, I started wondering the same thing." Q posts often on Twitter and has made some news agencies demand he be shut down. "He's been right on everything he's posted," Gangi says. "As if he's part of an intelligence agency with inside information." "Q, The Awakening" is on Amazon and Barnes and Noble.